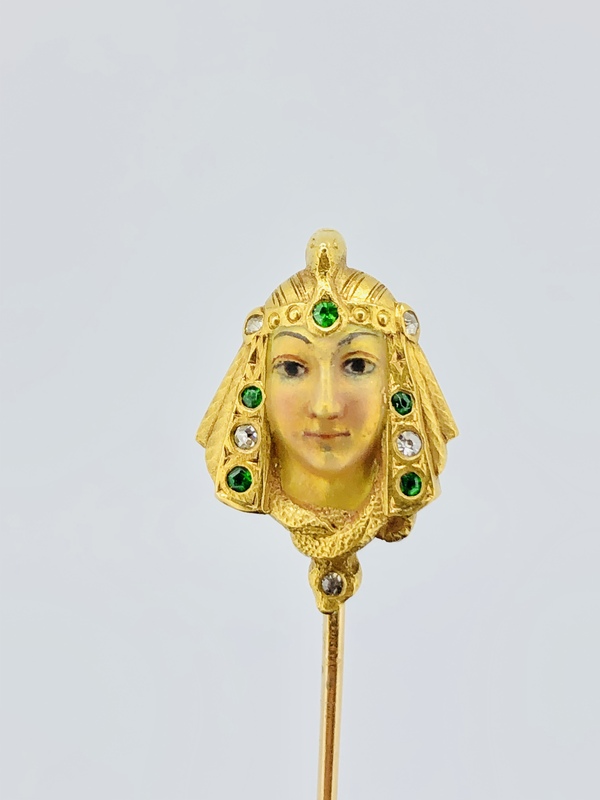 Pictured here is the Art Nouveau Pin of Cleopatra’s enameled face with her headpiece which features apx. .10ct. T.W. of single cut diamonds with VS-SI clarity and F color, as well as .07ct. T.W. of green demantoid garnets. There is an asp around her neck with a single cut diamond on its head. 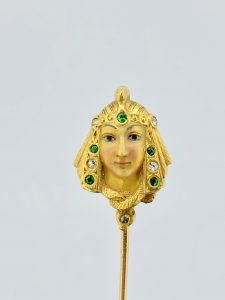 This 14k pin was made by the famous company Shreve & Co. in San Francisco. With the subtle attention to detail, this pin is a perfect example of the Art Nouveau era.